Jay has been entertaining in the Phoenix area over the last 15 years in coffee shops, restaurants, nursing homes, and retirement communities. Many people have told Jay that his music brings back memories as he mixes classic rock, country and old time sing a-longs. Jay is available to provide background keyboards, solo guitar, and guitar and vocals with full background music. 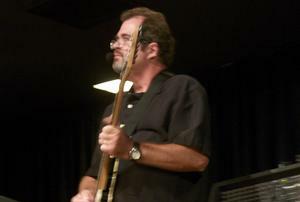 If you are looking for more musicians, he is able to put together a duo, trio, or four piece band. 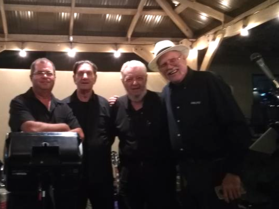 He also has a band, Exit 40, that performs at various RV Resorts, Moose, Elks, VFW, Eagles, and American Legion organizations in the east valley. They have also performed at the Tempe Oktoberfest, Chandler Ostrich Festival, and Apache Junction Lost Dutchman Days. 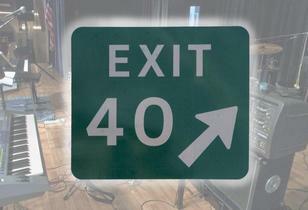 Exit 40 is not just a freeway off-ramp – it is the name of a local variety band who has enjoyed bringing the sounds of country, old-time rock and roll, and standards to many valley clubs over the past few years. And why Exit 40 for a name? It just seems appropriate for a group of guys, some who have passed the big five-oh, and others who recently exited those forty-something years. Our 4-piece group is made up of musicians who bring years of entertainment experience to the stage. As individuals, we have been involved in different musical projects, including writing and recording our own songs, and playing in various cover bands, spanning over 40(!) years. We draw on this wealth of experience to make each event a fun and memorable time for all. ​Jay Farris Music acts are available for different size events; from birthday parties with acoustic guitar and vocals, duos, trios, and up to a four piece band for weddings and corporate parties. Please contact us through the link below.